HubSpot CRM is one of the top solutions in its category valued for its focus and simplicity, not to mention the fact that it’s available for free. It’s quick and easy provides you with an effective platform to manage your leads and funnel them down across sales stages towards conversion. By integrating it with your email client, you can get the core CRM features (contact management, lead management and sales pipeline) at virtually no cost. To give you a better overview of HubSpot CRM’s value and capabilities, we’ve prepared a comparison of their solution against other top CRM solutions. Most of these are paid tools, so right off the bat HubSpot CRM has a clear advantage. But let’s go beyond the price and look at the set features to see how other systems fare against HubSpot. Salesforce starts at $5 per user/month and is available at monthly or annual subscription. For complete CRM you’ll have to shell out at least $65 per user/month. Some of the features unique to this solution include: customized reporting, chatter (an internal social network) and lead scoring. Matching up HubSpot CRM vs Salesforce CRM for core CRM functions shows that both deliver the fundamentals. That said, you can get the fundamentals for free with HubSpot. On a different note, Salesforce CRM is built on the strength of the Salesforce brand, a pioneering cloud suite for sales and marketing. The vendor has been around for over fifteen years now in the SaaS industry and that spells of reliability and business dominance. Within its ecosystem, Salesforce CRM is undisputably the top choice; it natively integrates with other Salesforce apps for analytics, cloud, service, community, sales and marketing. No doubt, Salesforce gets the job done when it comes to lead generation, process acceleration, and real-time, in-depth insights. However, this is a big vendor with topnotch clients. If you’re a small fish expect to wait in line for help. Similarly, hooking up all your business solutions to one vendor has its risks. Whatever happens to the vendor impacts your organization. On the other hand, if you’re focused on inbound marketing or demand generation, HubSpot has the better juice. It’s one of the early pushers for content marketing, a strategy that lends to CRM the pull. Where customers today demand more content over product pitch, you may want your CRM aligned with HubSpot’s strengths. This is like bacon and egg to your sales and marketing. Both apps are free, except that HubSpot Sales has a paid plan (HubSpot Pro) as well priced at $50 per user/month for more features . You don’t really compare HubSpot CRM vs HubSpot Sales agains one another because they mostly complement and integrate to each other. CRM tool pushes engagement with the leads created by Sales. Together you will have an efficient pull-push machine that converts leads to dollars. The free HubSpot Sales offers enough features to kickstart your inbound marketing. It features Gmail and Outlook integration, email scheduling, email open notifications, email tracking history, email templates, document management and API. Meanwhile, the paid version gives you more robust tools, such as, target and serial email marketing, web call, website prospecting and shared calendar. You also get better documentation and email marketing capabilities. SalesforceIQ starts at $25 per user/month and is only offered through annual subscription. Its key difference with HubSpot CRM is its relationship intelligence technology, which captures customer signals for possible opportunities. Signals can be previous support interaction (phone, chat, social), purchase history or past inquiries. The technology filters the most promising deals so your effort and resources generate the most return. However, this isn’t really unique in most other CRM solutions, including HubSpot. Considering that the latter integrates with email systems and sales and marketing funnels, you can also consolidate customer data and surface opportunities. Perhaps the more telling difference when comparing HubSpot CRM vs SalesforceIQ is the former has customized reporting, which enables you to capture actionable data and insights on the fly. Like Salesforce CRM, SalesforceIQ is part of the Salesforce suite, so analytics is integrated. But note that advanced reporting is only available in Large Teams Plan, which charges at $125 per user/month and is billed annually. Moreover, HubSpot also offers a separately charged reporting add-on for custom reports, dashboards, templates and email notifications, even as you get to use core CRM features for free. Like HubSpot CRM, SugarCRM is free being an open-source platform (it has a paid version too). But that’s how far the similarity goes. The latter is highly customizable and supports a range of features including multi-currency. But it requires a good dose of tech skills to navigate its interface, administer the features and tinker with the API. Unless you have an in-house IT team to tame this solution, you won’t go far leveraging its powerful set features. The paid SugarCRM plans start at $40 per user/month and includes core CRM functions like sales automation, lead management, contact center and customizations. It also offers dashboards and reporting. For more sophisticated features like advanced workflow, product-level quotes and SQL-integrated reporting, you need the Enterprise plan at $65 monthly rate. SugarCRM has a full-team structure that allows eight personas to engage customers. Users include administrators, accounts, and support manning your customer-facing channels. You can use the solution to push the pitch, receive customer queries or monitor leads and deals. Perhaps its two most admirable features are the Campaign Wizard and contact management. You can create targeted campaigns across different channels, including distributing web forms to capture warm leads. Likewise, you can attach all customer-related information to contacts. On this note, these strengths are nothing far-off from HubSpot CRM’s campaign and contact tools. You can link HubSpot web forms to your sales pipeline and watch leads stream in off your campaign. So, when comparing HubSpot CRM vs SugarCRM, unless you want a CRM that you can fully customize by leveraging the API, SugarCRM offers nothing much that HubSpot CRM can’t do and in a user-friendly way. Perhaps HubSpot CRM’s closest competition in focus and functionality is Infusionsoft. Both have at once straightforward inbound marketing capabilities and are campaign-oriented. They don’t have the more sophisticated features like reporting and analytics; what the two CRMs offer is an easy-to-use automated sales and email marketing workflow with clear metrics to measure success rate. For most businesses, this is all that matters: the ability to push campaigns and pull in leads thereafter and measure if the conversion rate is improving or declining. It’s that simple, one that resonates to hundreds of thousands of small businesses around the world and one which makes the two brands dominant brands for inbound leads. So, where lies the big difference between HubSpot CRM vs infusionsoft? It’s in pricing. Infusionsoft is significantly more expensive. Its basic plan starts at $199 per month for three users, rather way above HubSpot even if we factor in HubSpot Sales Pro, which costs $150 for the same three users. Infusionsoft’s basic plan offers 2,500 contacts, e-commerce, marketing automation and up to 12,500 emails per month. Some of these are unavailable in HubSpot CRM free app, but put into context, small businesses will find HubSpot a better way to kickstart an inbound marketing strategy, especially that their needs are likely to revolve around basic campaigns at first. Pipedrive is one of the top CRM solutions in our directory and is flexible, affordable, and scalable for businesses of any size. Pipedrive features a highly visual pipeline that speeds up lead-to-sale rate in a clear manner. Doing a HubSpot CRM vs Pipedrive comparison is slightly like comparing apples to oranges. Pipedrive is excellent for pipeline management, while HubSpot is the better choice for campaigns. Had it not for being free, HubSpot CRM faces strong competition from Pipedrive in terms of intuitive, useful tools. But Pipedrive is more of a sales funnel platform. It performs best in tracking deals across stages, while clearly indicating who’s in charge of each deal and associating to it all relevant details. It’s hard to miss any important information related to the deal with Pipedrive, such as recent conversations, updated status or contact details. For sales pipeline management, Pipedrive arguably has the better approach. However, it falls behind HubSpot CRM when it comes to campaigns. In fact, Pipedrive integrates with Highrise CRM to compensate for this chink in its armor. Inbound marketing is HubSpot CRM’s strength, particularly pushing out campaigns and distributing web forms as landing page to capture leads. If you think campaigns are a big element in your CRM, HubSpot has a clear +1 advantage. Otherwise, Pipedrive is an excellent solution to manage your overall sales pipeline. 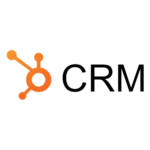 HubSpot CRM is a free yet powerful CRM solution any business can leverage to improve their conversion rate. Its strength lies on inbound marketing, while its core CRM features can match, even surpass, other paid CRM plans. It should clearly be one of your top options as you plan to implement a CRM strategy. Pipedrive vs Salesforce, Hubspot, Base and Freshsales: Which Is the Best CRM? How Much Does Hubspot CRM Cost? Is It Really For Free?